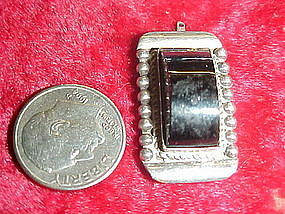 Vintage silver pendant with a black onyx stone. Marked Silver Mexico. Measures 1/2" x 1" rectangular. No chain included.